Each picture inside your File Storage has properties like size or when it was taken. 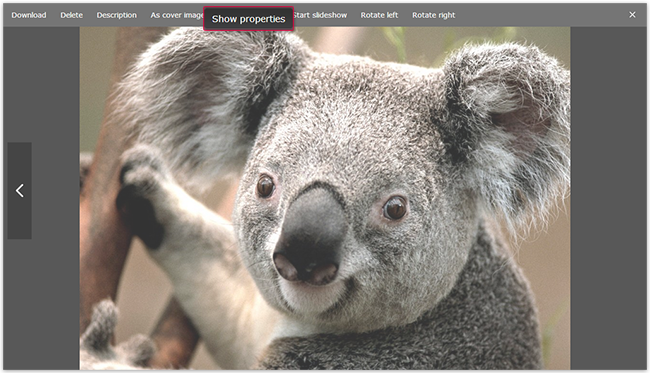 You can view the properties for each single picture. You can view the properties such as size and the settings the picture was taken with for your photos in the mail.com File Storage. Click the photo whose properties you want to view. In the Actions menu, click Show properties. A window listing all the image's properties opens on the left side of the screen.